The cast is going to have to be an ensemble of unknowns. Something like the cast of Richard Linklater’s Dazed and Confused meets the cast of John Sayles’ Return of the Seacaucus 7. 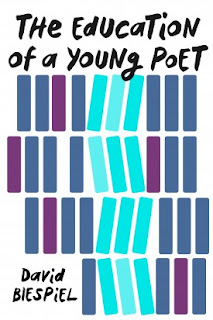 The Page 99 Test: The Education of A Young Poet. 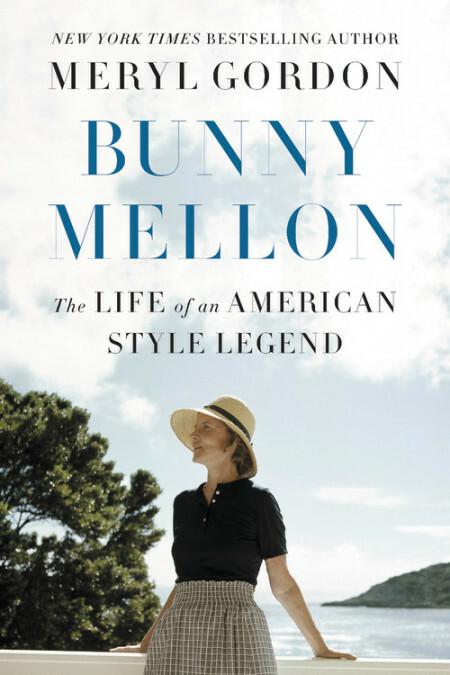 Gordon's new book is Bunny Mellon: The Life of an American Style Legend. Years ago I profiled Nicole Kidman, who was delightful in person, and while she is too pretty to play Bunny, she would be perfect to show the regal and vulnerable range of the character. The Page 99 Test: Bunny Mellon. 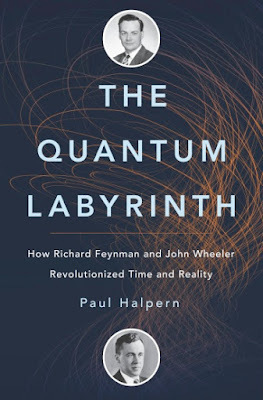 I can envision a 1950s film of Richard Feynman and John Wheeler, with Jack Lemmon playing Feynman and Jimmy Stewart in the role of Wheeler. I think Lemmon’s experience with the jazzy scenes, music, humor, flirtatiousness, and silly antics in Some Like It Hot would have made him perfect for the role. Wheeler was very quiet, but had a great dry sense of humor, which is why Jimmy Stewart comes to mind. That said, there is an actual film Infinity with Matthew Broderick as Feynman and James LeGros as Wheeler (which I haven’t yet seen), but there is only minimal overlap with what I wrote in my book. 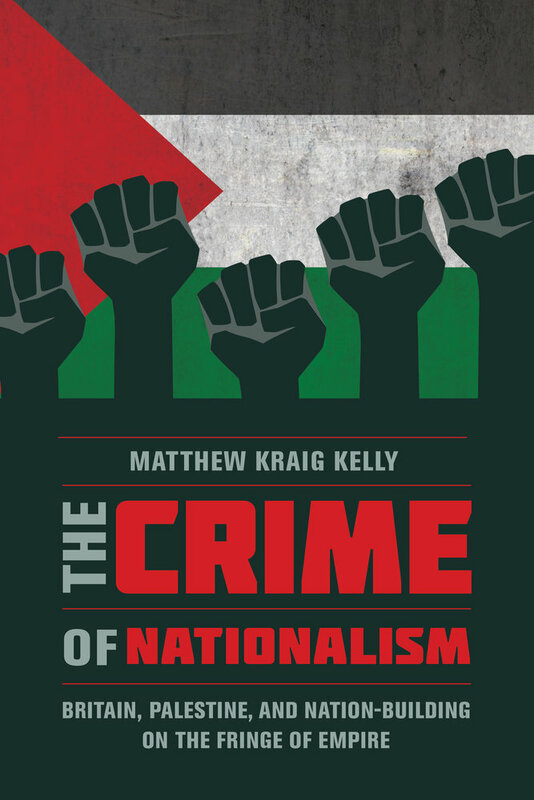 My book concerns the Palestinian Great Revolt of 1936-39, which was an Arab uprising against British policy in Palestine. By 1936, the British had been facilitating open ended Jewish immigration into Palestine for about two decades, with the stated intent of establishing a “Jewish National Home.” The Arabs had resisted this plan to no avail. This led to frustration, and finally to rebellion. My telling of this story does not feature a protagonist or "lead" per se. For the film, we might therefore toggle between three different perspectives -- British, Palestinian, and Zionist -- attempting to render each as sympathetically as possible. And we might select three personalities as the anchors for each of these perspectives. For the British, a good character would be Arthur Wauchope, the high commissioner for Palestine in 1936. Wauchope had been appointed high commissioner in 1931, at the age of 57. An enthusiastic civilian administrator, he had spent most of his adult life in the military, where he had proven himself a physically courageous man. His experience in the Middle East dated back to the First World War, when he commanded a British brigade in Iraq and was wounded in battle. There is little doubt that he regarded the British presence and mission in Palestine as appropriate, and yet he struggled to find the appropriate strategy for dealing with the Arab rebellion. He resorted to violent repression, but did so ambivalently, aware that doing so risked alienating Palestine's Arabs and thus exacerbating the rebellion. I believe that Ewan McGregor would do an excellent job of bringing Wauchope's inner struggle to the screen. For the Palestinians, a good character would be `Abd al-Rahim al-Hajj Muhammad, who would become the most respected rebel commander in the course of the revolt. Abu Kamal, as he was also known, was a grain merchant from Tulkarm. He fought in the Turkish army in the First World War, and took up arms against the British in 1936. 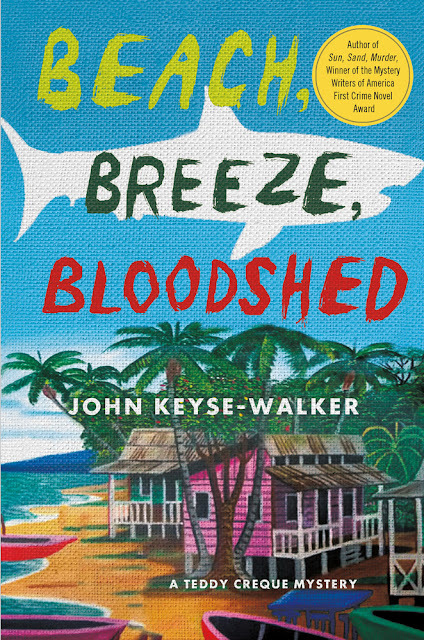 As my book demonstrates, the British authorities tended to regard the rebels as mere thugs, but they made an exception for Abu Kamal, whom they knew to be a man of unimpeachable character. Abu Kamal was a compelling figure: fearless, intelligent, and morally scrupulous. In this sense, he was an exemplar of the national quality of the Arab rebellion, which both the British and the Zionists were determined to deny. When the British tracked him down and killed him in March 1939, at Sanur (in Samaria), it dealt a mortal blow to the rebellion. Adding to the drama of this event, Abu Kamal had just received formal recognition as leader of the rebellion from the Central War Committee in Damascus, which had previously withheld such recognition on account of his unwillingness to follow instructions he regarded as foolish or immoral. I believe Saleh Bakri would be an excellent choice for this role. For the Zionists, a good – and perhaps obvious -- character would be David Ben Gurion. Ben Gurion was the chair of the executives of both the Jewish Agency and the World Zionist Organization, and a towering figure in the Zionist milieu. He would eventually become the first prime minister of Israel. As a character, he would be a good choice because of his sophistication. Ben Gurion was politically shrewd and an excellent strategist. He also had a good deal of sympathy for his Palestinian opponents, including many of the rebels. By the time this movie is actually made, Joaquin Phoenix won’t be that far from the age Ben Gurion was in 1936 (50), so I’d like to cast him in the role. 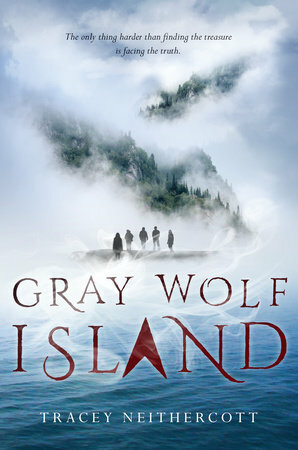 Tracey Neithercott's "Gray Wolf Island"
Tracey Neithercott’s first book was written by hand and illustrated with some really fancy colored pencils. It was highly acclaimed by her mother. 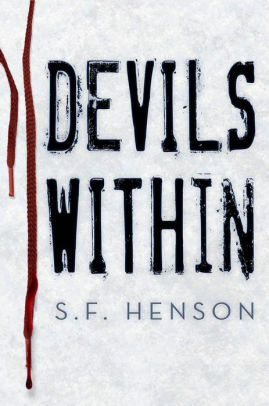 Now she spends her days as a magazine editor and her nights writing stories about friendship, love, murder, and magic. (None of which she illustrates—you’re welcome.) She lives in Massachusetts with her husband, who suggests improving her novels by adding lightsabers. Whenever I begin a new book, I go in search of character inspiration. But I usually end up pulling photos of models who fit the images in my mind. Casting with actual actors is a bit harder—especially when trying to find people who could pull off a convincing 17 years old and still have the acting chops to make for an enjoyable film. RUBY: I think Elle Fanning would do a great job portraying main character Ruby. She has the talent to show Ruby’s guilt, grief, and antisocial nature subtly on screen. Admittedly, she looks nothing like Ruby, but if my book were made into a movie, that would be less important to me than her acting ability. I mean, hair dye exists. ANNE: This is a tough one. Anne is Native American, and there’s a serious lack of Native American teen actors in Hollywood. I’m going to go with Devery Jacobs—but about five years ago so she wouldn’t look quite so adult. Elliot: I’ve always pictured Elliot as model Ash Stymest. But I think both Cole Sprouse and Matthew Daddario could pull off his mix of wannabe bad boy and total nerd. Bonus: Each is really great at small facial expressions that show their annoyance, and that’s all I could want for in an Elliot actor. Gabe: The trick with Gabe is that for most of the book he’s a lie. I think Miles Heizer would do a great job portraying a character who’s portraying a character, in a way. He was amazing in 13 Reasons Why, so I know he has the skills as an actor. Charlie: I’ve only ever imagined Charlie as Ki Hong Lee. I’ve seen him tackle serious roles, so he’d be able to slowly reveal a Charlie grappling with the fact that he’s seen his own death. But at the same time, Ki Hong Lee seems really spirited and fun, and that’s exactly Charlie’s personality. 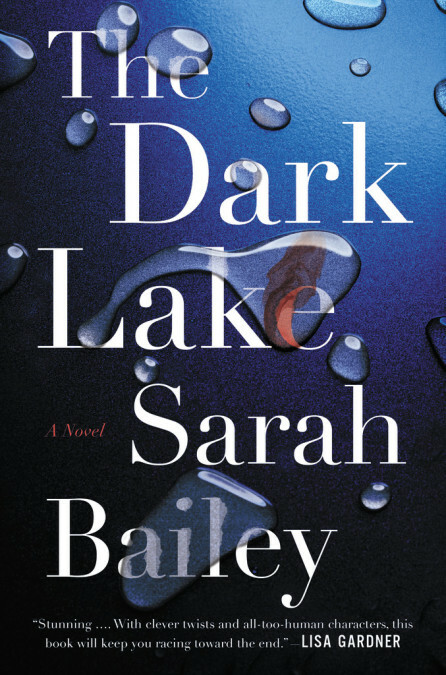 Sarah Bailey's "The Dark Lake"
When I was writing The Dark Lake, I found it really helpful to develop a fantasy cast to ensure I had consistent descriptions of each character. I created a little mood board on my bedroom wall by cutting out pictures of actors that I felt would be able to bring each of my characters to life. Of course, I never imagined that it might one day be turned into a TV series or film, and the fact that this is now a possibility is truly mind-blowing! As I embarked on my private casting adventure, finding an actor that could step into the role of DS Gemma Woodstock was critical. She is such a layered person, with a lot of light and shade. In my head Gemma is quite a slight person physically but very strong emotionally with the potential of being quite fierce and frustrating at times. Ellen Page was my top pick to play Gemma. I love her petite but tough vibe. Felix is another important character as he needs to be charming but aloof and slightly mysterious. I had either a Christian Bale or Ben Affleck type in mind for him. In contrast the character of Scott Harper, Gemma’s partner is very trustworthy, stable and solid and for that reason, I thought Joshua Jackson would work well in this role. Several of the other characters I based on Australian actors. The murdered woman, Rosalind Ryan would be perfect for Isabel Lucas. Beautiful and mysterious, she has a distinctive other-wordly vibe. Miranda Tapsell would make a great Candy Fyfe, being so fun and feisty. Jonsey, Gemma’s much-loved boss needs to be a gruff character with a heart of gold. J.K.Simmons would definitely be able to pull this off and the fact that he played Juno’s dad alongside Ellen Page in that iconic movie would be a cute build on their past onscreen relationship. For the two younger Ryan brothers, I needed to find actors that were attractive but again somewhat distant. I thought that Zac Efron and James Marsden would provide the right look and tone for Timothy and Bryce. Their older brother Marcus is more passive and needs a bit more softness to him. Someone like Josh Brolin would work well. In terms of their father, the wealthy patriarch George Ryan, either James Brolin or Richard Gere would be perfect. For the naïve but kind-hearted Rodney Mason, Freddie Highmore sprung to mind as did the lead actor from 13 Reasons Why, Dylan Minnette. 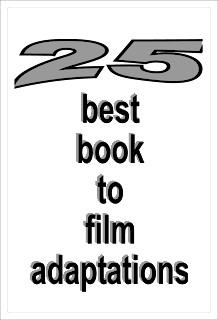 I’m not sure whether it a normal practice to develop a cast list when you write a book but it is certainly something that I found really helpful. I’m already doing it again for the sequel! Sarah Shoemaker is a former university librarian and currently lives in northern Michigan. 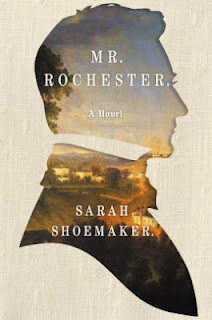 Her new novel Mr. Rochester recounts the story of Jane Eyre from Rochester's point of view. As I was writing Mr. Rochester, although I tended to see it visually, I did not actually think much about it being made into a movie. But as people started reading it, they quite often asked me who I would like to see play the main parts (Mr. Rochester and Jane Eyre). After some thought, I’ve settled on Aidan Turner, best known to me as Ross Poldark in the TV series Poldark, to play Edward Rochester because, just as Rochester does, he has black hair that seems to fall over his forehead all the time and dark eyes, and even somewhat dark skin; and he is not overly handsome, nor is he overly tall. So, physically, he is a good match. And he exudes a kind of dynamic force that I see Rochester as having. As for Jane, I have not yet thought of someone who would fit that part well—maybe an actress who is not yet well-known. Jonathan Eig's "Ali: A Life"
Ken Burns calls Jonathan Eig a "master storyteller." Eig is the author of five books, two of them New York Times best sellers. 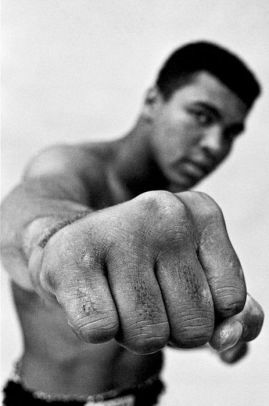 I never pictured anyone but Muhammad Ali as Muhammad Ali. He was bigger than any Hollywood actor…and he told us so. In fact, he portrayed himself in the first movie based on his life. Ali had big plans for his career in film. Little known fact: Warner Brothers offered Ali $250,000 plus a percentage of revenues to star in Heaven Can Wait, the remake of a 1941 film called Here Comes Mr. Jordan, about a boxer who is removed from his body prematurely by an overanxious angel and who returns to life in the body of a recently murdered millionaire. When Ali turned down the part, director Warren Beatty cast himself in the lead role and changed the character from a boxer to a football player. Well, since Ali can no longer play himself, and since Will Smith already had his turn, I think it’s time for a younger, less famous actor to take a shot at it. But it’s got to be someone as gorgeous and magnetic as Ali. Can anyone contend? 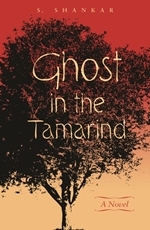 Learn more about the book and author at Jonathan Eig's website. John O’Brien's "Keeping It Halal"
I love this question, because I have actually thought that my book would make for a great film. 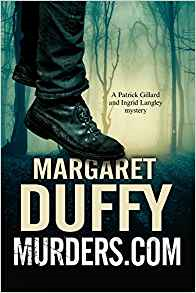 At the heart of the book are five young men – ranging in age from fourteen to nineteen – who are dynamic, funny, and very close friends. The book uses over three and half years of ethnographic observation with these kids – who I call the Legendz after the name of their hip hop group – to tell the story of their growing up together as young Muslim Americans in post-9/11 urban America. Rather than being centered on politics, though, their everyday lives – and therefore the book, and therefore the movie (!) 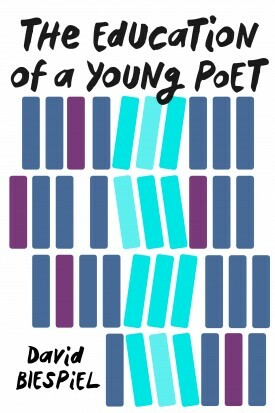 – is focused on the trials and tribulations of urban American teenage life, intertwined with concerns of Islamic propriety. While spending their teen years together, the Legendz were also working to manage complex cultural dilemmas in their daily lives: how to listen to profane hip hop music while being a good Muslim, how to date in a way that doesn’t clash with expectations of Islamic behavior, how to meet Islamic religious obligations while still feeling and seeming to others like independent American teenagers, and how to respond to frustrating anti-Muslim harassment while not playing into the very stereotypes they hoped to escape. I think a coming-of-age movie about these young men would be great – think an early-oughts Stand By Me meets a Muslim Smoke Signals. And the boys’ interest in hip hop would provide an excuse for a great soundtrack. In terms of casting, I think a movie like this might work best with some fresh-faced, relatively unknown actors, for whom this could be their break out roles (assuming that the movie is a big hit, of course! ), but I do have a few ideas of well-known actors who could play the Legendz. As for Yusef, the Jordanian-born and most religiously pious and personally sincere “older brother” of the Legendz, when I asked him who he thought should play him in the movie of Keeping It Halal, he texted back without hesitation, “I think I’m going to say Joey Tribbiani from Friends (Matt LeBlanc). I think we have a lot of similar things going on.” When I asked him what he meant, his comment was in keeping with his role as consistently Islamically appropriate and slightly nerdy: “It isn’t the sleeping around part, but it’s because he’s a cornball and I like his style. I’m a big corn ball.” The other Legendz would agree. During this text conversation, I tried to make clear to Muhammad and Yusef that this was just an abstract exercise, and that there was no plan to actually make a movie based on the book. While I think they understood that, I think they also, like me, got a little swept up in the idea of what they saw as an interesting slice of youthful Muslim American life making its way onto the silver screen. It’s a great idea - maybe I’ll make that my next project. Learn more about Keeping It Halal at the Princeton University Press website. 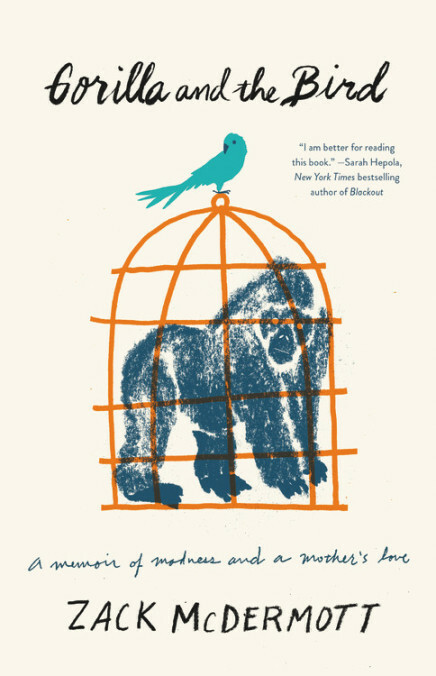 McDermott's new book is Gorilla and the Bird: A Memoir of Madness and a Mother's Love. To direct: I love Jean-Marc Vallée. 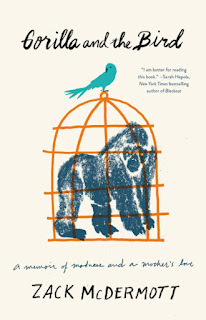 I loved Big Little Lies and it excites me to imagine what he could do with Gorilla and the Bird. His projects are so beautiful and he’s great shooting jarring and surreal footage. It makes me salivate to imagine him directing the character Zack in the throes of a psychotic break. You read this, JMV? The Page 99 Test: Gorilla and the Bird.